As per PTI, the number of registration of company in India was about 65,000 in FY15. 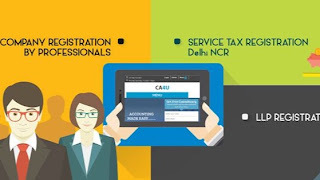 Company Registration in Delhi and Maharashtra accounted for majority of these companies. As per Mr. Jaitely, of the total Private Limited Company Registration Online done, 66 companies listed themselves in stock exchange. The number of Private Limited Company Registration in Delhi has topped the list of states and Union Territories as it saw registration of 11,076 companies under the Companies Act during 2014-15, followed by Maharashtra in the second place with 11,020 firms and Uttar Pradesh at the third place with 5,989 such registrations, the minister informed. The Company Registration in Gurgaon is NOT included in the list of Company Registration in Delhi. With #StartUpIndia campaign launched, we can expect the number of Online Business Registration to go up in FY16, the number of which is awaited.